You have changed so much in just a small amount of time, when you arrived I couldn't believe you were a girl (I really thought I was having a boy!). You were so different from your big brother in size, you had the tiniest features, hands and feet whereas Eliot had huge hands and feet! You weighed between 7lb11oz and 7lb12oz, so again smaller than your big bro thankfully...I really thought I'd be birthing a ten pound + baby. Even though you were much daintier than your brother I could see him in you and there are some photos where you look so alike. You made a lot of grunting and adorable squeaking sounds as well as snorting, in fact you are still doing all three, just not as much. To begin with you slept a lot during the day and not as much at night. You were feeding roughly every three hours, except when you slept for longer periods. Now, apart from the odd occasion you sleep through from anything between 8:30-10pm to 6:30-8:45am-ish which is pretty darn good, keep it up please! From the very beginning you have loved your cuddles, as you got older and more alert during the day it became harder to put you down...making it difficult to get things done so we began to use a carrier which you loved. You still like it now but can take a minute or two to settle in it if you are cranky. You also enjoy studying faces and spend a long time looking/gazing at them when you are in the mood. When you were seven weeks old you took part in something rather exciting! Asda filmed some short films for their website about baby care and you and I feature in their nappy one. You were extremely well behaved and didn't make a sound during the filming. When you were around eight weeks you began to start whacking the toy hanging over your bouncer and have really started to take notice of it over the past couple of weeks. 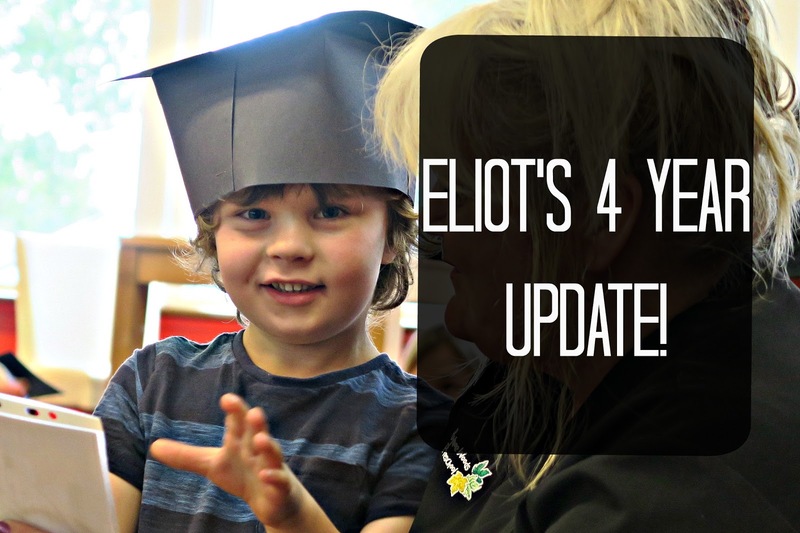 You have strong control of your head/neck and seemed determined from birth to have a go at holding it up as much as you possibly could, very much like Eliot! At eight and a half weeks I reluctantly moved you up to size 2 nappies, I just want you stay 'little' for as long as possible. You had a BCG immunisation at two weeks old and your first round of combined jabs just before you turned ten weeks old. Needless to say you were not happy, you screamed like I'd never heard you do before, it was awful! Luckily you were ok afterwards but did spend a lot of the next day sleeping. I was determined to try and breastfeed you but unfortunately it didn't work out. You did try to latch on but even with help whilst we were in hospital it just didn't happen. During the first few days you had some expressed breast milk and of course formula, you have Aptamil like Eliot did. You have continued to put on weight since your arrival, which is great to know you are thriving. To be honest you don't need to be put on the scales, it's easy to see you're putting on weight when you finish every bottle! You really started to fill out a few weeks ago. Last week you were put on the scales and weighed 11.46lbs. As I was convinced I was going to have another nine pound + baby I only bought a couple of things in 'up to 1 month' size but as you surprised me being so dainty, you were able to fit into 'first size' and 'up to 1 month'. Even now some of them still fit you, not for long (sob, sob)! Mostly though you are wearing 0-3 months. This post is an entry for Britmums #sdfiver challenge Christmas Challenge sponsored by sportsdirect.com. We were challenged to find Christmas gifts for different people with at least two gifts costing five pound or less. Whenever I've thought of Sports Direct, trainers or sports clothes immediately come to mind, I'll be honest and say it's not somewhere where I'd think to buy Christmas presents (unless they were 'sport' related), so I was pleasantly surprised by the range of products that were available. From toys to gift sets to Christmas jumpers, there really is a lot to choose from with many items priced at five pounds or less. I must say I was impressed with what was available and the prices. To begin with a spent a good hour or so browsing the website taking mental note of things I thought would be good presents for certain people before choosing some and adding them to my basket, this is what I selected. A) 15+ chocolate gifts is too much chocolate! B) 15+ chocolate gifts are not going to be helpful to my postpartum tum that I want to reduce in size! So when I stumbled across Yankee Candles on the Sports Direct Website I was pleasantly surprised, especially as a small jar was priced at £3.99! So that's what I ordered, a small 'Sparkling Snow' candle as an alternate gift for Eliot's teacher. However as you can see on the box above there are three candles priced at £7.99, so I'm not sure if I didn't read the description properly and it was always a pack of three or they had sold out of single candles. Whichever way it was, they went through at £3.99 on my order which is blimmin' good value for a great quality product! Unfortunately these particular candles no longer seem to be available on the website which doesn't surprise me because they were such good value! There are other Yankee products available and who knows, they could get more in stock. Eliot has four adults working in his Reception class, so that's four gifts that I needed to get! As I said above I'm not overly keen on chocolate gifts so thought this Moisty mug cake was another great alternative gift, with one particular TA in mind. Yes it's food related but who doesn't love a cake and one that can be ready a minute?! For £3.49 I thought this was super value and would be a great small gift or stocking filler for all cake lovers, ones that don't have a nut allergy though as this is Hazelnut flavour! Sometimes I find buying presents for kids really difficult because you wonder if it's something they already have or if it could be adding to a toy collection that's already too large and driving the parents too distraction! So I try to avoid toys and opt for things like games. They (hopefully) won't add to the toy mess and they're something that all the family can get involved in. I chose this 3D Snakes and Ladders game for Eliot as he has a rather tired 2D version of it and I'm sure we'll have some festive family fun playing it together. It's priced at £5 but unfortunately I couldn't find it on the website so I'm guessing it's gone out of stock. I chose this Mini jelly bean machine for Eliot because he does like a sweet treat but mainly because he's been pointing out all the bubble gum machine gifts and bubble gum is something I won't give to him just yet. So when I came across this Jelly Bean version I knew I had to get it for him as he'll love dispensing his own sweets! It's priced at £7.99. I picked this Chewits selection box as a little present for my other half, he isn't fussed about chocolate but does love chewy sweets. He often buys Chewits but there only seem to be a limited selection of flavours available so I thought this would be ideal as there are a few different ones in this box. Priced at £2.99 I thought it was good value for a selection box. I don't know about you but I find wrapping Christmas presents after the first few a little laborious so I cheat with some and put them into Gift bags. This pack of five variety sized bags cost £2.99 which again I thought was a good price. There is also a more traditional Santa and Snowman pack of bags at the same price. All of the items I picked came to under £25 which was I think was excellent value for what I selected and the quality. Delivery costs £4.99. I certainly recommend browsing the website for presents whether their stocking fillers or main gifts there is plenty to choose from! Back in the summer when I was expecting baby numero two (Nola Belle), I was invited to review a pair of shoes from Vionic. This was a brand I had never heard of before, whose 'biomechanical footbeds support you from the ground up'. I was intrigued to try them, especially when I found out their FMT technology﻿ with built in arch support aims to alleviate foot problems such as plantar faciitis. Having suffered with plantar faciitis a few months after having Eliot I was keen to avoid the problem developing again as it was very painful indeed! I was also desperate to try Vionic shoes to offer optimum support and comfort to my pregnant and very swollen feet! I opted for a casual pair of trainer style shoes named 'Syra' which come in a choice of colours. I am undoubtedly a 'flats' over 'heels' kinda gal and am most comfortable wearing a pair of trainers, so couldn't wait to try them out! At the time the white pair were my first choice but they didn't have my size in stock. However I'm really pleased I chose the black, especially now it's Winter. When they arrived and I unboxed them I was really pleased with the style, they would be something I would buy myself as they go with perfectly with the casual, comfortable style I like to rock as a mum. With my second pregnancy I suffered with severely swollen feet and legs so was really looking forward to getting the Vionic shoes on so I could give my ever expanding tootsies some better support. I have wide feet anyway, but unfortunately my feet were so badly swollen I really had to battle get the shoes on and the fit was extremely tight. Therefore I didn't feel it would be fair to review them with my feet more swollen than the norm in pregnancy, here's how bad they actually were (sorry for the naff phone/gross feet photo). Fast forward a few weeks after Nola's arrival, the swelling had gone and my feet/legs were pretty much back to their usual size. This meant I could finally give the shoes an honest review. not the hard, flat man-made surfaces that make up so much of our modern world. The leaflet that came in the box advised that to begin with only wear the shoes for a few hours at a time to let your body get used to Vionic's 'biomechanical orthotic technology'. So that is exactly what I did, wore them on short trips such as the school run with Eliot or when nipping to the shops. I usually find with a new pair of shoes that they often rub the back of my heel which can obviously be very sore and uncomfortable. With my Vionic shoes I haven't had this problem once as the back of the shoe is soft and supportive. They have even kept my feet in ultra comfort during long days out walking all over London and hopping on and off public transport (you know how that is when you have a pram and fournager in tow'). 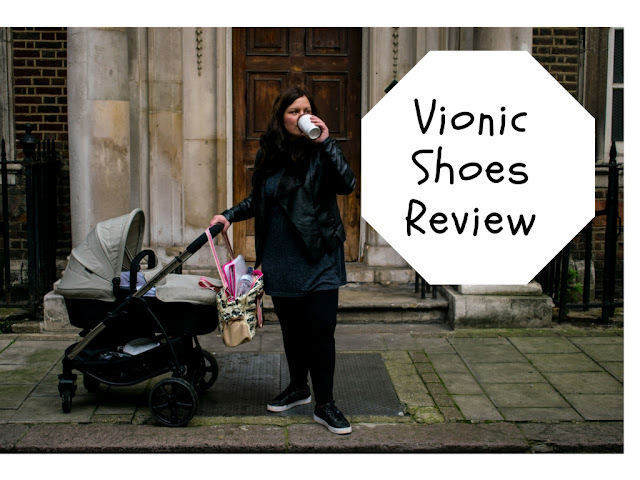 If you're looking to be kinder to your feet whether your pregnant or not, I definitely recommend checking out Vionic! I don't know about you but I'm definitely not looking forward to another 'toy influx' this Christmas, so I'm looking at alternate gifts for the 'fournager'! A tablet, games, books and DVD's are on my current list. Fancy winning a copy of Milkshake's Brand New Besties DVD?! I have two to giveaway, enter via rafflecopter! The fact that the 'n' in this font does not give a capital letter irritates me a lot but I was too tired to faff anymore! Choosing a name for our pink surprise was a lot harder than expected, especially as we had five names we both agreed on for a girl but not really any for a boy. But when it came to deciding on one, they didn't seem right for her. Also we'd shared them with our mothers who commented that they didn't like any of them. Not that it mattered what anyone else thought but subconsciously I probably had these comments stuck at the back of my mind. Days went by with people asking if we had given her a name but the truth was we hadn't really spoke names in the blur of the newborn days. We made suggestions and briefly discussed names but still none seemed to fit. I know lots of people have names for their bumps when they know what they're having or even if it's a surprise but for me I had to see my babies before I could give them a name set in stone. With Eliot his name was on the list we had come up with but it still took a couple of days to name him. So how did we come to the name Nola? Nola actually featured in my list of names that we probably wouldn't choose for baby 2! But after a trip out whilst paying for petrol it suddenly popped in to my head having forgotten all about it. I suggested it to the other half who said he'd think about it and thought we should watch the film, which we did (Matchpoint) where we'd first heard the name when Eliot was a baby. A couple of days later we agreed on Nola...finally our little lady had a name! We were going to give her both our mums' names for a middle name but it ended up causing a mini drama which I won't go in to but you may know what I'm talking about if you are in the blogging group on facebook where I posted about it. 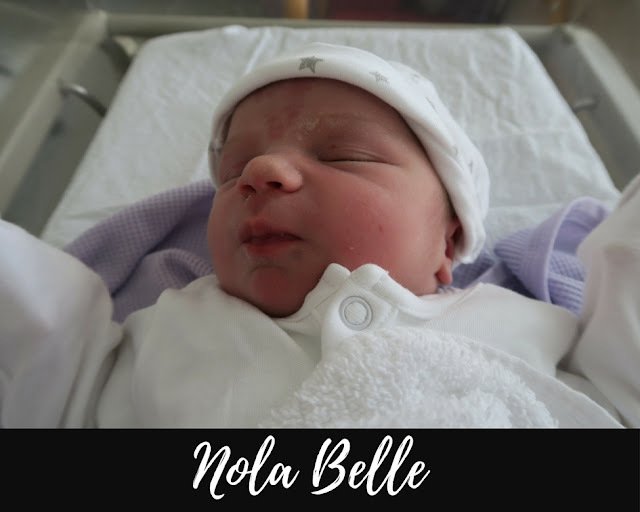 Belle for a middle name was my idea after making a list of possibilities, Nola Mae, Nola Seren, Nola Alice, Nola Isla, Nola Lyra. Beauty and the Beast is my favourite Disney film and is sentimental to myself and the OH, so it seemed fitting for her and it meant something, in addition to it going well with Nola. She will have our mums' names after 'Belle' too even though I'd prefer not to use them. She has also gained a fair few nicknames already too... they just fall out of my mouth! And I'm sure there'll be plenty more to add in the future! How and when did you decide on your baby name/s? Do you have lots of nicknames for your little one/s? I've had good intentions to get this post written waaaay before now but I've been caught up in 4 weeks of newborn blur along with trying to get a four year old in reception into school on time! It's starting to get (slightly) easier but I'm really struggling with trying to keep on top of everything in the house etc. Anyway I went in to St Thomas' hospital for an induction on 5th September, I will be writing a birth story so will leave all the details for that but after a long'ish' induction baby 2 made their appearance at 8:38am on 7th September. We finally found out our 'team yellow' baby was a team pink, I couldn't believe I had a girl after believing it was a boy! She weighed in at between 7lb11oz & 7lb12oz... a lot smaller than I'd anticipated after having Eliot who weighed 9lb5oz when he was born, I really thought I would have a 10lb'er! I just love her to bits, it feels like she has been here forever and I can't believe she is already 4 weeks old! Keep an eye out for her first update and birth story to follow soon! Surprise surprise, this update is overdue but this time it's just a couple of months late! There have been lots of changes in the time since your last update too! I suppose the biggest change that is about to happen any day now is that you're about to become a big brother. You're not exactly excited at this prospect but I'm sure once your new sibling is here and things have settled down you will love being a big brother. You are keen to have a sister so we have been working on helping you understand it might be a brother which at times you are really not happy about! You have said you want to push the pram and help change (non poop) nappies so I'm looking forward to your assistance. You are also about to start 'big school' which you have told a couple of people you are 'worried about'. 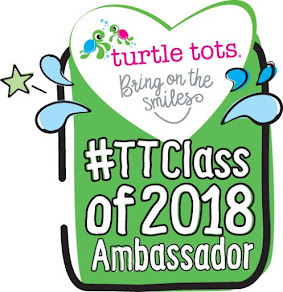 It is a big change as you were so settled in your pre-school and had lots of lovely friends but you are soooo ready for Reception and you'll make lots of new friends which is part of the adventure! You don't realise it yet but you love to learn, you ask questions and soak up lots of different information like a sponge. I think you will be much better at maths than mummy was, you count to 20 and beyond recognizing the numbers, if there is an unfamiliar number on a bus you will ask which number it is. You know the 'plus' and 'minus' symbols from one of your number puzzles and have an understanding of what they mean. I have a feeling math's is going to be one of the things you most enjoy at school. You still enjoy books, mainly at bedtime but there are occasions where you will sit and look through a book by yourself, telling the story. We went through a phase of practicing letter sounds with your alphabet cards every night, you know the alphabet sounds and can read and spell bus, cat, dog and a few other words. You're still not keen on drawing and writing but have started to draw pictures of people which are very cute! You occasionally spontaneously decide your going to try and write something, like the other week when your tried writing letters from your name. 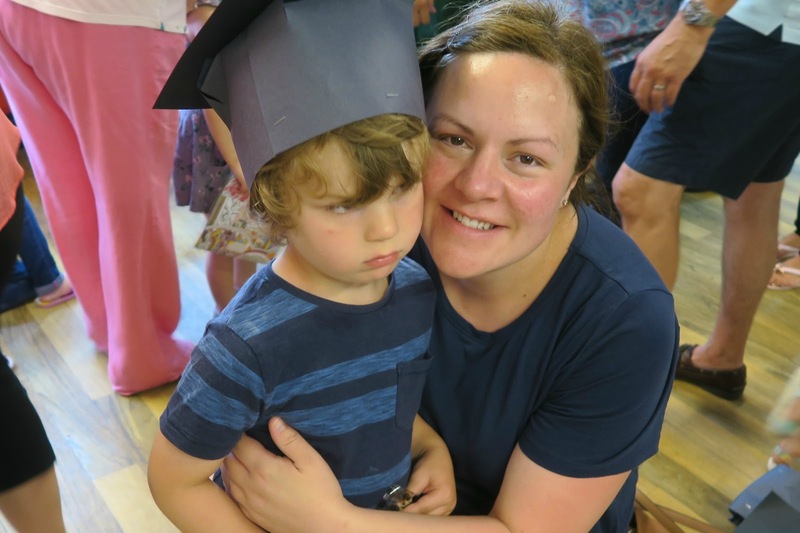 Before the summer holidays you did have a settling in morning at your new school which you went in to confidently and before pre-school broke up you had a graduation ceremony which made mummy very emotional! You were given a certificate and leaving gift by your key worker, Lisa who you you enjoyed joking around with and called 'pineapple head'. Earlier on in the year with the help of some of your pre-school staff we made a break through with potty training! You use the toilet independently, although there are still times you avoid going and hold wee in. We're still working on poo's but you have made such progress to where you were at Christmas. Your behaviour continues to be extremely challenging at times, when you're good you're really really good but when your at the other end of the spectrum you like to push boundaries to the limit or have epic meltdowns. I must add though you were a complete angel at pre-school so I hope your good behaviour carries on in your new school! You had your three year boosters at the beginning of the year, it was a struggle to even get you in the room. There was a nurse on either arm ready to get the two injections over together. I had phoned to pre-warn the nurse of your phobia but I don't think she realised how difficult you would be. Thankfully we are over and done with all your immunisations, so hopefully there won't be anymore injections for some time! You did have tonsillitis in June which meant you needed antibiotics which was a bit of a nightmare as you don't take medicine. Four times a day was a challenge but we bribed you with sweets and a sticker chart. You would let pre-school staff give you the antibiotics without any objections which was rather frustrating. Over recent weeks you have all of a sudden become quite fussy with food, you ate cheese (cheddar) and cheese sandwiches like there was no tomorrow! Then one day you declared 'I don't serve cheese anymore!'. So you've quit eating cheddar but will have soft cheese sandwiches, you've also gone off cucumber saying you don't want it. You do still love egg and will request egg sandwiches or an egg! Of course you still love naughty foods and would quite happily eat them all the time. As I've said before I know you ate more of a range of foods at pre-school so hopefully you will do the same at school. You were sleeping through pretty much every night until around June. You have been waking up most nights and getting into bed next to mummy. I think all the changes that are due to happen are playing on your mind and this is disturbing your sleep. I'm sure you've been weighed at some point but I'm not sure how much you weigh at the moment. You are wearing most clothes in size 4-5 years. Some 3-4 clothes still fit but as I've said before it can vary so much though depending on where the clothes are from. You do seem to have had a growth spurt and are as tall as some children who are a year older than you. Pretending you've just had a workout at the gym! Hand dryers, if we're in a public toilet you'll sing 'I don't like the dryer' over and over again to stop other people from using them, even though you use them on some occasions. We recently had a family trip to Hamerton Park Zoo near Sawtry in Cambridgeshire. Nestled deep in the countryside on first appearance looks more like a farm than a zoo but it's actually a lot bigger than it seems. We arrived in the afternoon just before half one, on entry we were handed a couple of leaflets and entered the park. There was a noticeboard with different animal feeding times throughout the day, the last one being (on the day we were there) at 1:30pm. It was the cheetahs being fed which I was keen to see so we started to rush round the zoo (in the wrong direction). This is where I felt it would have been helpful to be handed a map on entry or be informed they were available to buy within the guide. Whilst trying to get to the cheetah enclosure I was briefly distracted by the frisky tortoises, Eliot loudly declared 'Look mummy that tortoise is climbing on that ones back', which made me chuckle. You can always trust an animal to give you some sort of nature in action! Eliot had spotted the play area and the train by this point and was eager to get on to both. We told him we'd do both later as we needed to have lunch first. The hand washing area was just behind, so made it very easy to ensure hands were cleaned after stroking the mammoth donkeys. We then headed to the café to get a bit of a late lunch. Below is picture of the food that was on offer and prices on the day we visited. I quite fancied a jacket potato and the other half (OH) wanted a bacon roll but unfortunately all the jacket potato's had gone and there was no bacon left, which was a bit disappointing but I suppose can happen later on in the afternoon. There were still different sandwiches available to choose from but I ended up going for the pepperoni pizza, as did Eliot and the OH went for a burger and sandwich. The hot food was microwavable so not anything to have high expectations of but was fine to fill a gap. There were a few tables inside the café and then picnic tables dotted around outside as well as nearer to the play equipment. One thing that did make my experience in the picnic area less enjoyable were the amount of wasps that were around. Obviously being one of the warmer days, they were out in force around the food and drink. I personally can't bear them and admit to having a bit of a fear after being stung as an adult, I'm one of those people that runs, flaps their arms, squeals and shrieks if they get too close and certainly did all of those things a few times! I know they don't bother some people but I think it could put a dampener on a day out if your child got stung, therefore I think those wasp catcher bottles would be useful around the café and picnic area for those warmer months. We were kindly gifted £25 to spend in the café or shop as part of our review, the above food along with some drinks, left us with just over £8 change which we saved for Eliot to buy a souvenir in the shop. Once we'd finished lunch we decided to go back to where we'd started and have a proper look at all the different animals before having a train ride and letting Eliot loose on the play area. There are over a hundred different species of animals to see, so really lots to look at and take in. We spent a fair bit of time around the bird enclosures, particularly observing the vultures who were intimidating as well as fascinating to watch. Their wingspan was incredible and their body language and movements was really interesting. I think the were hoping to be fed but also seemed to have a dislike of cameras. One thing that I liked around Hamerton Zoo were the information plaques for each species somewhere around their enclosures. They weren't overwhelming with information but gave you enough, including the animals' level of vulnerability in the wild e.g. 'critically endangered'. We continued enjoying looking at and reading about the different creatures in their enclosures even though Eliot continued to pester us about the train and play area. From meerkats to bearded dragons back to the mammoth donkeys and the other animals in-between, there is plenty to see. It was when we were back near to the mammoth donkeys that we realised the train was being put away for the day. Shock, horror, we thought this may end in an epic meltdown from Eliot being the train fanatic that he is, luckily he didn't but he was disappointed he was unable to have a ride. I was surprised as it was around 4pm and the zoo was open until 5:30pm. It was pretty quiet and perhaps that was why the train was put away but I felt there should have been timings visible somewhere or it should have been mentioned when arriving and entering the zoo. I wasn't even aware that tickets to ride the train had to be purchased until after our visit. This is something you could definitely be made aware of when entering. So with a train ride fail under our belts, we headed to look at some more big cats, two Bengals and a Malaysian tiger. Again I could watch these big cats for hours, and was in awe at being so close to these incredible animals. The tiger enclosures are quite new and there are indoor parts where there is lots of information about tigers and the conservation work Hamerton does. After exploring the tiger enclosure we headed to the 'Stroll A Safari' where you'll find sheep, ducks, chickens, camels, alpacas and pygmy goats. Some of the animals can roam out of their enclosures and you can feed them with food from the feeding station which you will need 20p coins for. Unfortunately the animals had ventured back into their enclosures so we missed out on feeding any. Luckily Eliot didn't mind as he was still keen to spend time on the play areas. Before doing so though we headed to the shop so he could buy a souvenir as we didn't want to miss the shop too! I must admit I'm not a fan of gift shops as they're usually overpriced but there were a fair few items at pocket money prices. Eliot did spend a very long time deciding what he would like but in the end chose a zoo themed story book and a dinosaur egg which you're meant to put it water and it hatches but he ended up cracking it open whilst pulling it out of the box. We were one of the last few families there so Eliot pretty much had the play equipment to himself and enjoyed the end of his day out climbing and going down the slide. 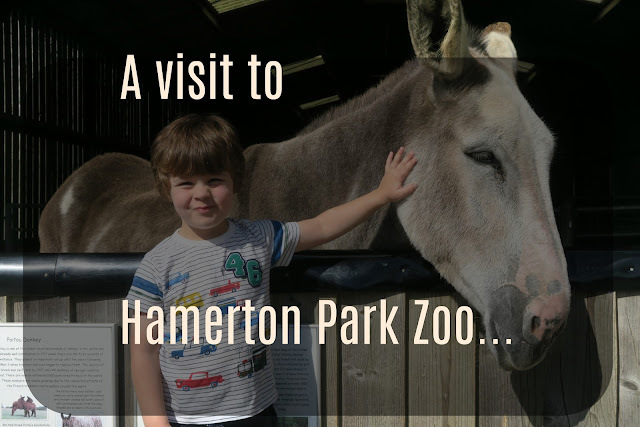 Overall we had a really enjoyable afternoon at Hamerton Park Zoo, if you're not too far away and looking for days out in the last week of the summer holidays it's definitely worth a visit! Hamerton Park Zoo is open everyday apart from Christmas and Boxing day. 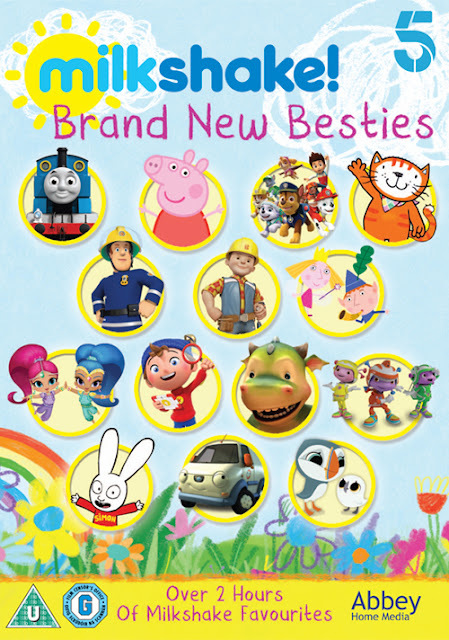 Adult entry is £13.99 per person, children between 3-8 years pay £8.99 and under 3's go free. Tickets can be purchased online or on the gate. Head to the website to get your 10% off voucher!